A mixture of spacious, private and affordable one and two bedroom apartments for the over 55s with views over London Fields. Inspired by local townhouses. Quadra is a mix of spacious, private and affordable, one and two bedroom apartments for the over-55s. It is set in the heart of one of London's most eclectic and vibrant districts overlooking the picturesque London Fields in Hackney. Designed to meet and exceed the recommendations of the HAPPI report, all apartments are either dual or triple aspect with gallery access to avoid internal corridors. The site is constrained by a row of beautiful mature London plane trees to the south, along the edge of the fields, and a neighbouring nine storey tower block to the north. 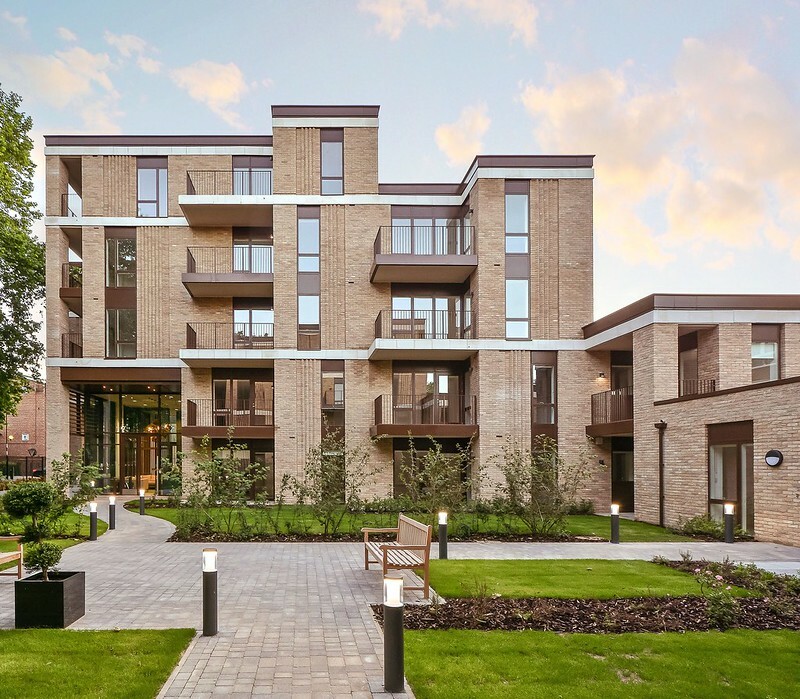 The design cleverly maintains the tower blocks' daylight and sunlight, maximises views of the park for residents and allows all of the existing trees to be retained and celebrated. The layout is stepped both in plan and section to achieve this and at the same time to afford every apartment spectacular, south-facing views of London Fields. The double height entrance foyer and lounge, coming directly off the busy Landsdowne Drive, creates a sense of arrival and attractive space for social interaction. From the entrance there are lovely views into the beautiful private residents' garden and out across London Fields. Inspired by local townhouses, the concrete framed building's external appearance makes use of a distinctive palette of buff brick and Portland stone elements. The main façade is arranged in a staggered grid of feature brickwork and bronze metal work provides a composed backdrop to the trees of London Fields while addressing its urban context. Quadra is an inclusive development, designed to be fully accessible with space standards, fixtures, fittings and interiors designed specifically to enable older people to live independently for as long as possible. The central location ensures that the residents can continue to enjoy local facilities and benefit from intergenerational social activity.